Klaksvík is on a turning point. The town has strengthened its position as a regional center for work, culture and commerce. Having gradually developed predominantly alongside the mountain slopes in the course of the last century, the town is now reaching a population of 5000. These two factors provoke the need for a true city centre. The Faroe islanders live very close to nature, the impressive landscape and ocean are always near. The ocean and its resources have been the source of existence since long and are still the main source of income. The unique archipelago landscape consists of majestic basalt mountains that rise from the the ocean. Klaskvik is situated on a wonderful location, a natural harbor where two mountainsides meet and form an isthmus; the “Eiðið” is a symbolic marriage in geology. The landscape is magnificent, but also intimidating. Combined with the pronounced winds that whip the fragile isthmus, this is a testimony to the power of nature. Together they humble you as a human being. It’s geological context has forced the town to grow into two parts, layed out along the hight lines of the mountains, the streets and houses flank and overview the city’s natural harbor. The city’s urban structure resembles a honor guard; Klaksvík welcomes its guests! A town centre that unites the two city halves and acts as a place of meeting, relaxation and celebration. A place that represents the new born heart of Klaksvík. It should be attractive to more than just the people of Klaksvík itself, a place that attracts people from the Faroer and abroad. Many European cities have a history of organic development. Limited by their defense works, a dense urban tissue has developed over the years, characterized not predominantly by its buildings, but by the space in between. The organic city tissue has proven to be very flexible, showing the ability to programmatically change in time, without undergoing large structural modifications. Thanks to their dense character and almost completely enclosed public space, organic cities also offer protection to the elements by default. The built mass embraces the intimate public space and creates security for both inhabitants and visitors. 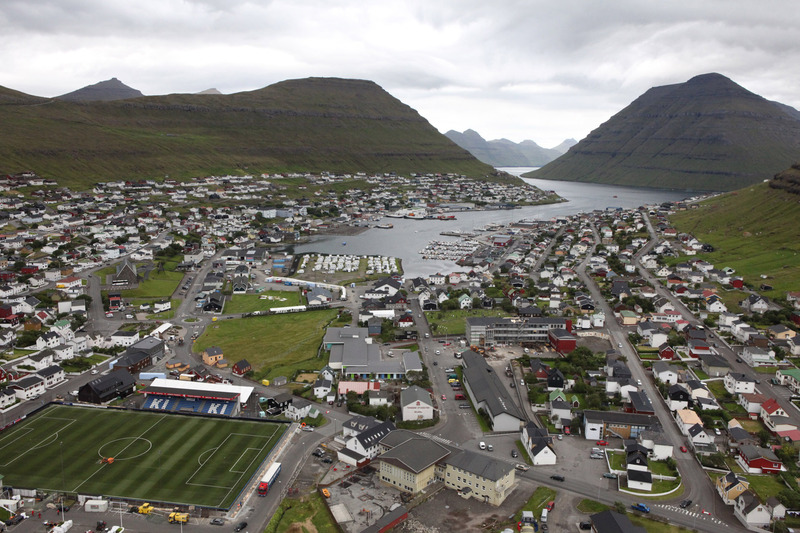 This is the kind of urbanity we propose for Klaksvik, linked with the existing morphology of the town. 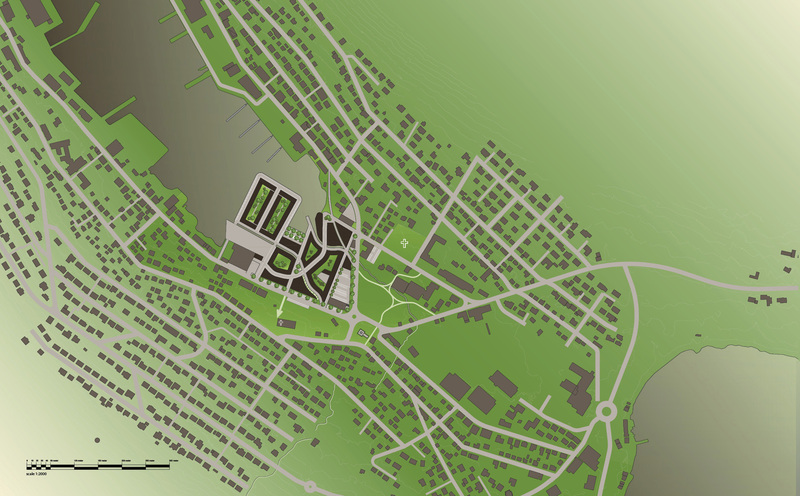 We propose a place where the two parts of town come together in an intimate heart of town, a heart that generates the flow for vitality and interaction!